The Norwegian Championships started with ITT where Vita Heine was the strongest in the 34.3km hilly course and won the title. Cecilie Gotaas Johnsen, still recovering her fractured shoulder, finished second while Miriam Bjørnsrud finished in third securing a full Hitec Products podium. In the Criterium the team again secured a full Hitec Products podium after going full speed from the start before attacking and creating a break away. Miriam and Vita broke free from the peloton and sprinted for the win where Miriam was the strongest securing the title ahead of Vita. Behind them Thea Thorsen attacked and stayed away to take bronze. In the road race Vita, Thea, Miriam and Emilie created a break away with two club riders. Thea unfortunately slid out and found herself back with the peloton. Meanwhile, in the front, Vita attacked and stayed away till the finish taking her second title. The rest of the group was caught, but the girls created a new break away with Thea, Miriam and two club riders. Miriam attacked this group and stayed away for silver. 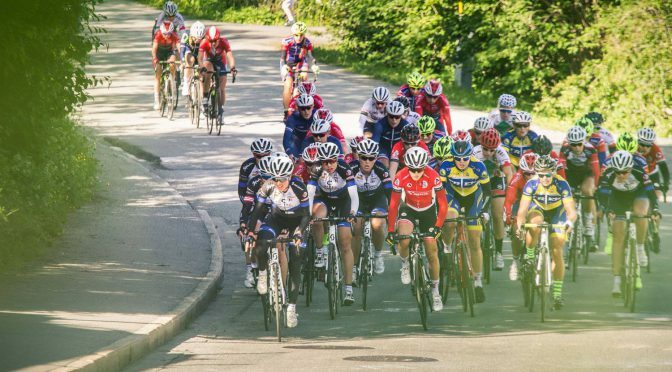 Club rider Katrine Aalerud (Bryne CK) finished strong and won the bronze medal. Emilie Moberg won the bunch sprint for 5th. Ingrid Lorvik, Tone Hatteland Lima and Janicke Gunvaldsen completed the team and gave it their all for the team to succed. In Germany Charlotte Becker finished 5th in the road race. After being sick for a period she decided not to race the ITT and focused on some extra days of training before the road race. Mieke Kroger (Canyon Sram) got away and won the title 10sec ahead of the bunch where Charlotte finished 4th in the sprint. In the Netherlands Kirsten Wild found herself outnumbered by strong Dutch teams in a world class peloton. Janneke Ensing (Valkenburg Parkhotel) & Anouska Koster (RaboLiv) got a gap to the peloton, in the finish Koster proved the strongest taking the title. Kirsten sprinted a strong 5th place in the peloton behind. In the Italian ITT Tatiana Guderzo rode strong and was very close in the fight for the title. She lost the victory with just a few centimeters to Elisa Longo Borghini (WiggleHigh5), but could still celebrate her strong ride with a silver medal. Simona finished to a solid 11th place in tough competition. In the road race Tatiana finished 7th.